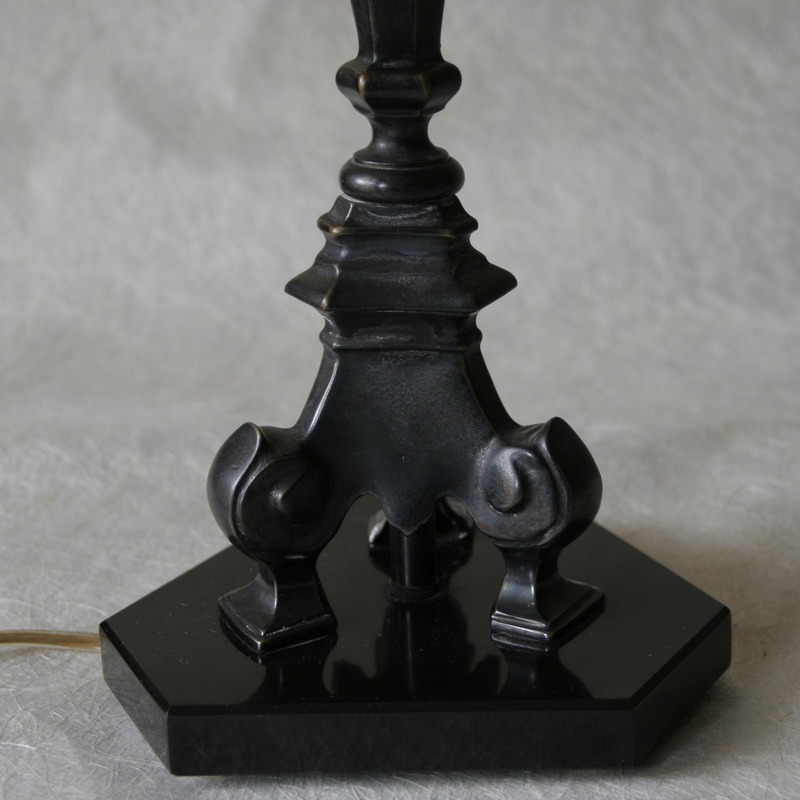 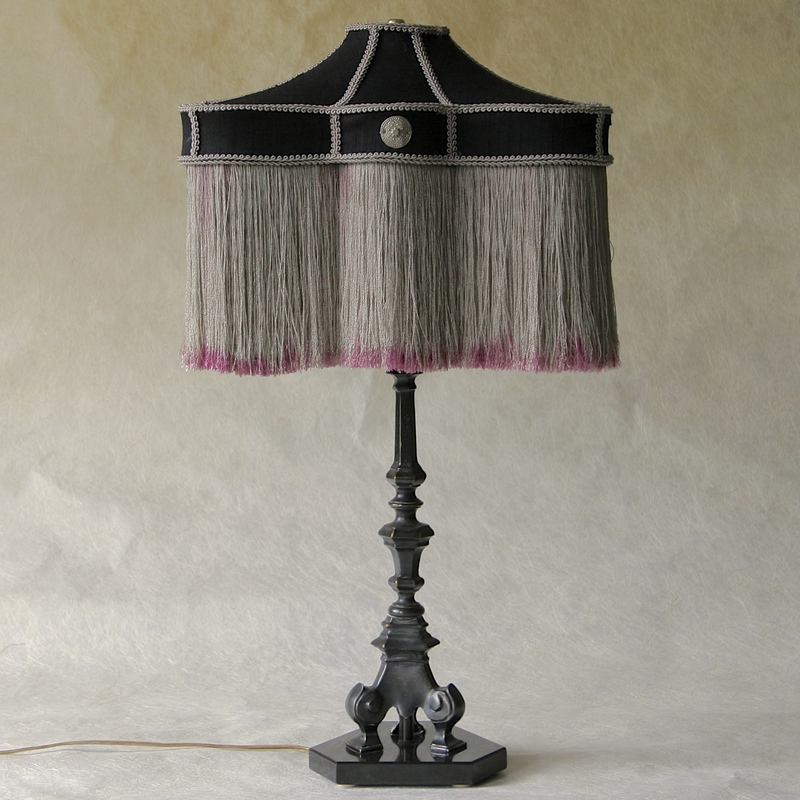 This bronze lamp has a black marble base and a black art deco style silk shade with a long silvery grey fringe. 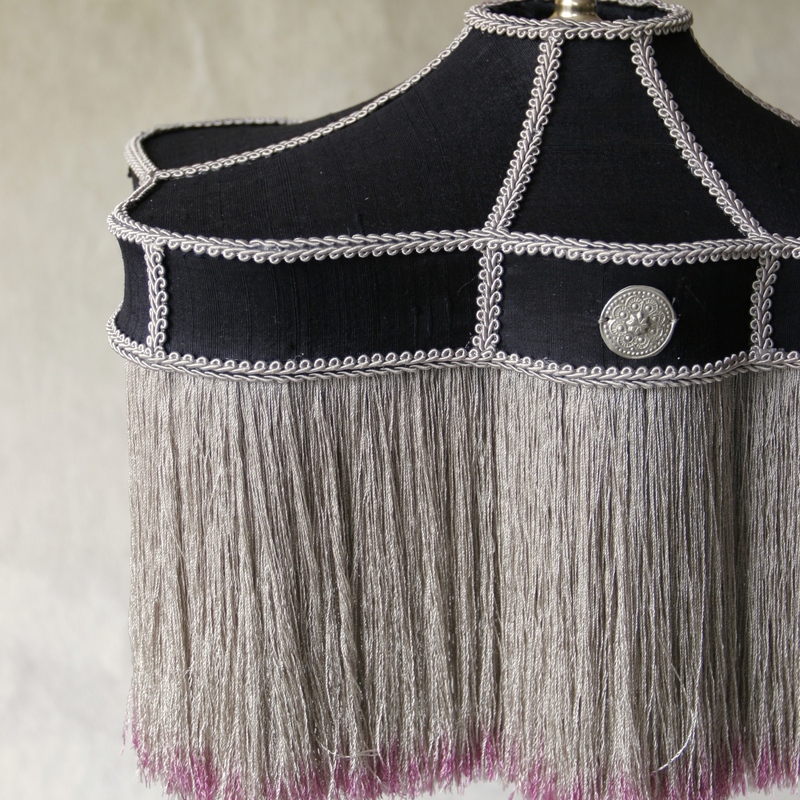 The fringe has a bit of pink at the bottom. 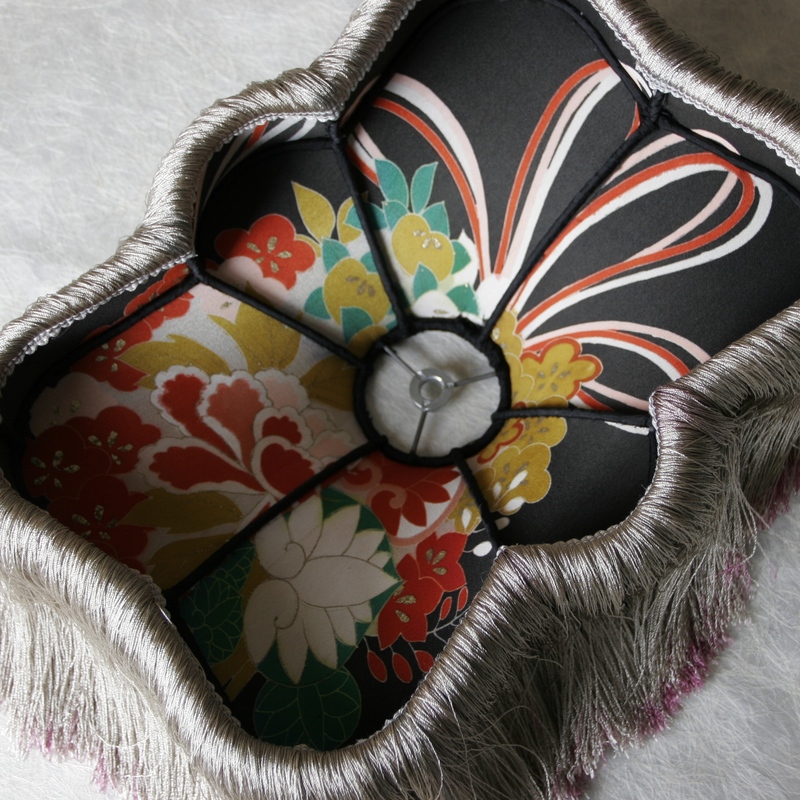 When the lamp is lit the lining , a Japanese kimono silk, becomes visible. 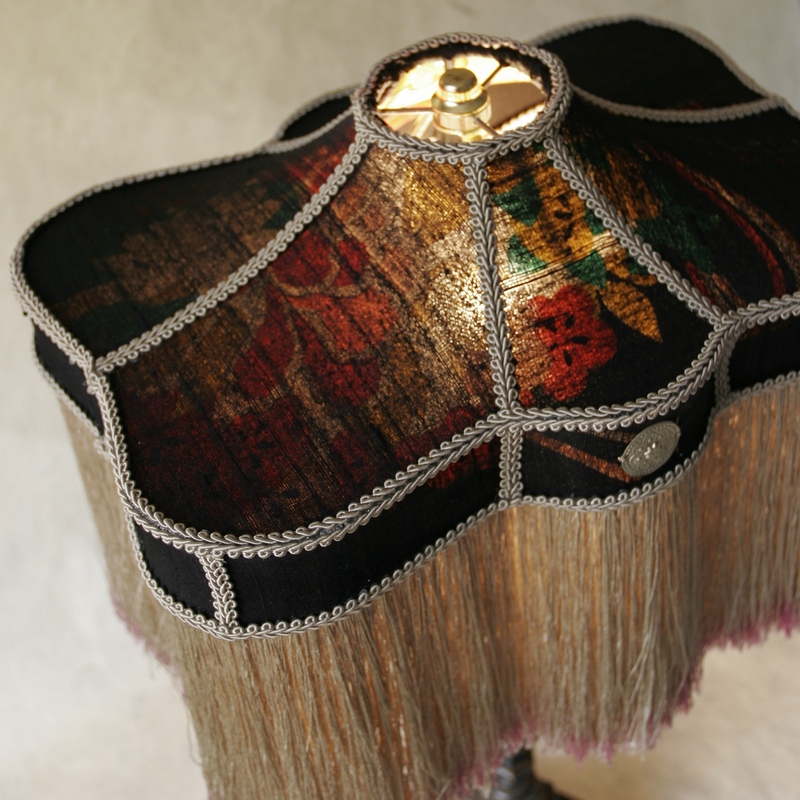 You can see this effect on one off the detailed photo’s.